The 13-inch tall Brisby Brown Men's western boot with a dark chocolate leather exterior accented by a rust and beige stitching along the upper. The beige piping on the quarters and collar outlines the classic western silhouette and the single stitch welt offers durability. Its square toe and unit heel allow for an easy fit in the stirrup and the cushioned insole provides extended comfort throughout the day. This style is proudly Made in the USA with global parts. These are the most comfortable boots I've worn. They fit great and look even better! I will be a return customer for sure! I was going to wait until my replacement pair arrived, but Nocona wanted a review, so here it is. I ordered the MD2714 style and when I opened them on Christmas, I was very disappointed! They had a white paten all over them and scuffs on the heel of one boot. I couldn't believe that whoever put them in the box accepted the lack of quality! I've sent them back and am awaiting a better pair or another style that I specified. Received my boots this past Friday that i won from Nocona and Dale Brisby and i just want to say these are some Awesome Boots. The fit is like they were made for my foot and the comfort is way beyond what i thought but then again they are Nocona's the best around. If you are wanting a pair of boots that will get you through the day then this is what you want i could not be any happier. 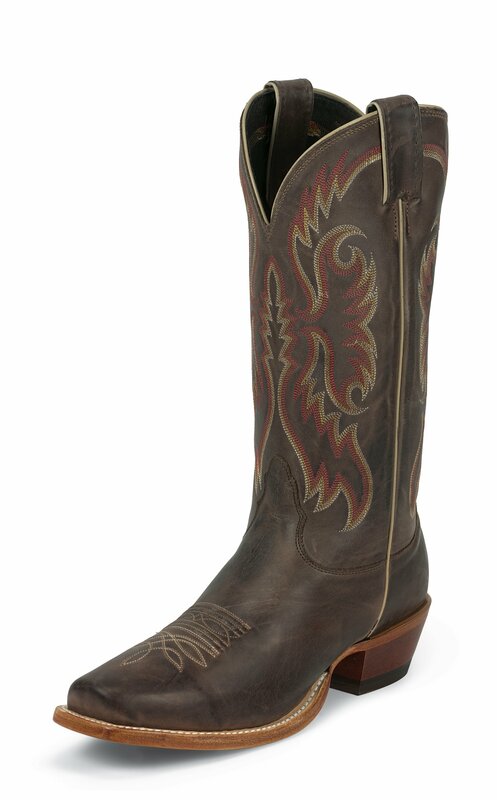 Thank you Nocona for making excellent boots, in one word WOW. This is what a western boot should feel like! This is the 1st time I've purchased western boots that fit like they were custom made right out of the box! They look and feel great. They fit true to size and are as comfortable being in them after 10 hours as they were when I 1st put them on. Thank you Nocona for these quality US made boots! Kudos to your craftmen! These boots just came and I am incredibly happy with them. Very true to size. Incredibly comfortable and padded even before I've done much breaking in. From pull tabs to sole, quality is outstanding. The beautiful shaft stitching is truly not done justice in the photo. In fact, the whole boot looks even better in person. Leather is high quality, soft yet durable feeling, and rich in color. Overall an outstanding boot at a very reasonable price.